We had to wait until late Sunday night, but now we can celebrate the fact that our Badgers and Packers had big wins this weekend. 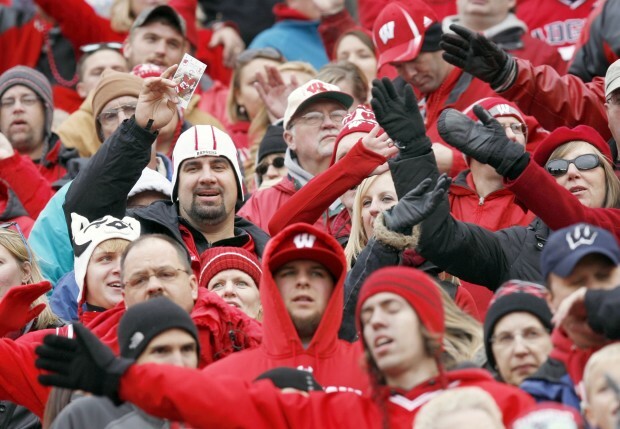 Wisconsin took on Purdue, and Montee Ball made up for lost time, rushing for over 200 yards. He also broke the Badgers school record for most touchdowns. The number stands at 72, with more games to play. What was the play that shut down any hopes of Purdue coming back? It was Ball's 67 yard run for daylight that came in the second half of the game. Ball was named Big Ten Player of the Week. That comes as no surprise. As for our beloved Green Bay Packers, Aaron Rodgers threw for six touchdown passes last night, smoking the 5-0 Texans on their home turf. James Jones and Jordy Nelson were the recipients of five of those six TD passes. The sixth touchdown pass went to Tom Crabtree on a third down play where Aaron had just milliseconds to release the ball. Crabtree faked a block, moved right, and streaked for 48 yards and a score. The win didn't come without a price, as the Packers linebackers went down one after the other. We will see who sits out next week's game at St. Louis. Packers versus Rams tickets are available now. Let's hope that our Wisconsin teams come up victorious once again.